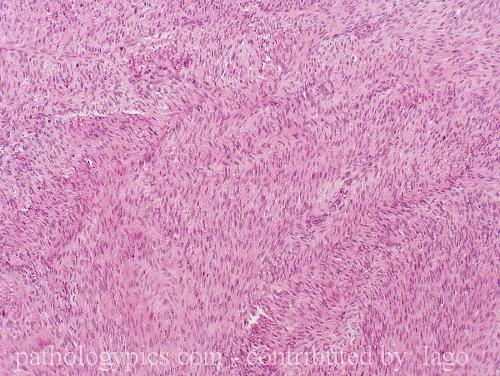 This is a very nice image of malignant peripheral nerve sheath tumor. We would like to use the image in a advertorial to bring awareness to soft tissue sarcomas. Can you contact me and let me know if you would grant permission for use? emarston at shawscience dot com thanks. Emarston - Welcome to the site. I am glad that you found an image that might be useful to you. It is a very nice MPNST. I imagine that Iago will be in touch.